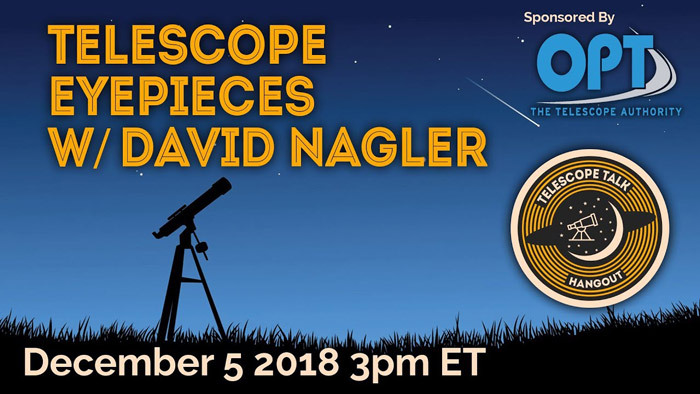 Join Tele Vue President David Nagler live on the Deep Astronomy channel’s “Telescope Talk Hangout” video stream with host Tony Darnell. This hour-long show will stream live on YouTube.com on Wednesday, December 5th at Noon Pacific Time. 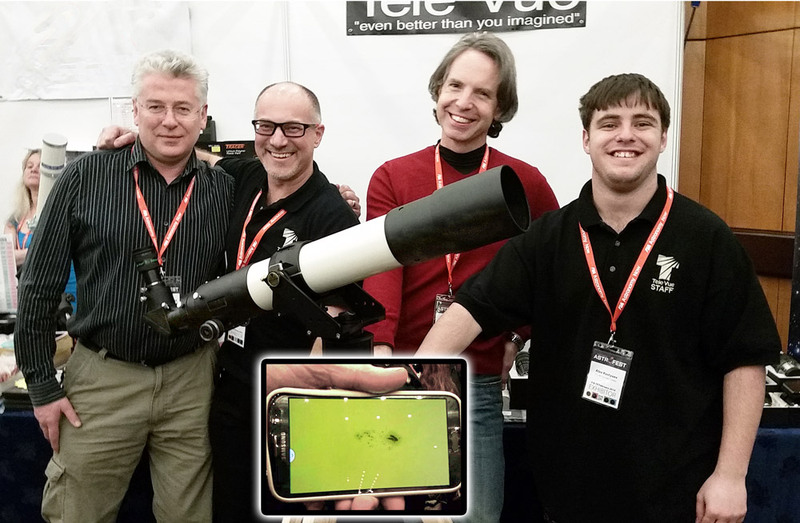 If you’re in the New York metro area the third week in April, we’ve got a lot to show you at two back-to-back shows we’ll be at: the annual Northeast Astro-Imaging Conference (NEAIC: April 19 & 20) and Northeast Astronomy Forum (NEAF: April 21 & 22) — both in Suffern, NY — about an hours drive northwest of New York City. We’ll exhibit an updated night vision demonstrator to show you the benefits of using our visual and smartphone accessories designed for the Tactical Night Vision Company (TNVC) night vision monocular. This is the system that just won a Sky & Telescope 2018 Hot Products Award. In the coming months, Sky & Telescope will be publishing their test review of the system. You can get a preview of this review on page 63 of the April 2018 issue and looking at the image below. 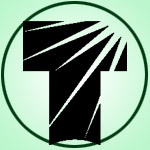 Join our blog mailing list to stay up-to-date on sales, product announcements, live events, and Tele Vue news from our in house blogging staff. If you post an observation or photograph on social media, made with Tele Vue gear, put #televue in your post and we'll like it. Tele Vue’s Secret Launch: Apollo 11mm Eyepiece! NEAF: Tele Vue’s Cosmetic Sale is Back!